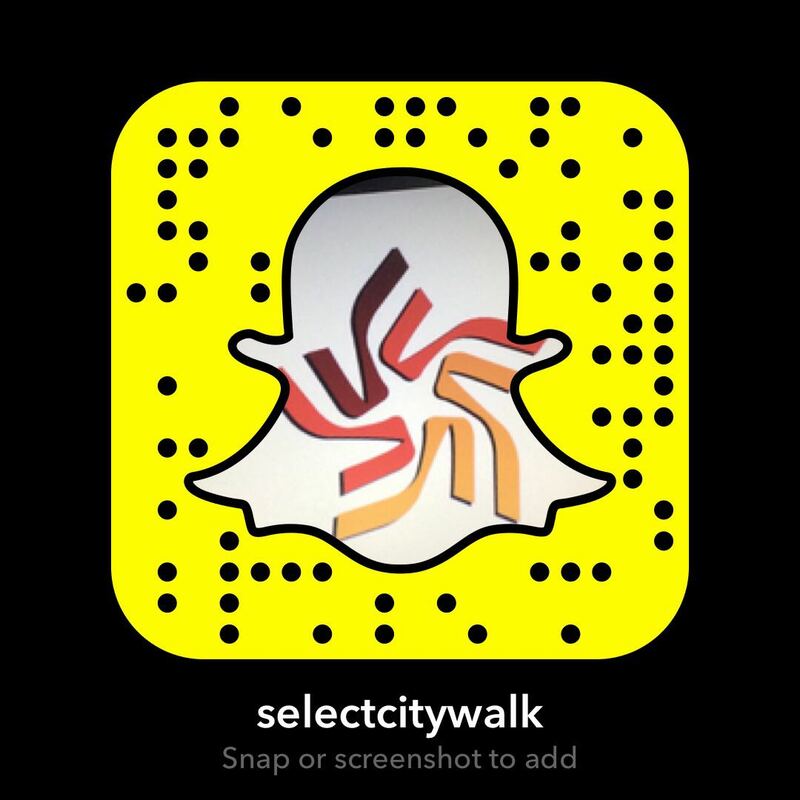 Much like every year, the Christmas festivities at Select CITYWALK continued to be grand and offbeat. Keeping with the tradition, we decided to take things a notch higher this year. 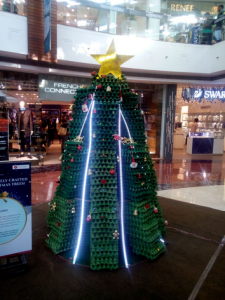 In association with Pearl Academy of Fashion we came up with Christmas Magic-A unique display of not 1, not 2, but 12 different Christmas trees made from different materials. These Christmas Trees however, were not created just on someone’s whim or according to what looked aesthetically pleasing. Each of these Christmas Trees were inspired by and themed on strong social messages and life lessons, thus making them larger than life! A small but important life lesson was conveyed through the Bottled Christmas tree was the worth of left overs. It showed that even the most basic materials can be used to keep the Christmas spirit and merriment going. Social messages included a tree that represented the mission of educated India and helped in drawing attention to pertinent issues plaguing the country. Not everyone in India has the privilege to get themselves educated, especially a girl child. The books here were recycled depicting that knowledge gained always helps one gain every bit of success. 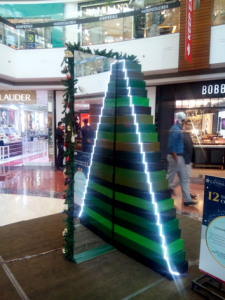 As far as ideation was concerned, the reflection mirror Christmas tree, made with translucent gift boxes and soft lights, which were reflected on a mirror creating an infinity look, won the top spot! It was followed closely by a tree made from letters to Santa. The name very much signifies it’s meaning as it ignites the hope of wishing in each human and makes them believe in Christmas. 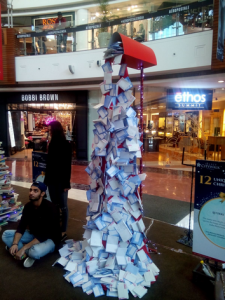 People were seen clicking selfies with different tress and intently reading the thought behind each Christmas Tree. We can safely say that the turnout, enthusiasm and excitement of all our guests surpassed anything we expected. We thank the participants and Pearl Academy of Fashion for their hard work and vision in making Christmas at Select CITYWALK an occasion that was truly memorable!